The following are selected entries from my curriculum vitae. For more detail on these sections and additional information, please see my full CV (PDF). My teaching portfolio is also available on request. An invited essay on Computational Studies for The Arden Research Handbook to Contemporary Shakespeare Criticism, ed. Evelyn Gajowski (Arden Shakespeare, 2020). (with Kevin Quarmby) A critical edition of Fair Em for Digital Renaissance Editions. Authorship attribution consultation for the Oxford Complete Works of John Marston (with Hugh Craig) and Oxford Works of Thomas Nashe (with Rachel White). Case studies of early modern authorial style and the effect of literary genre (with Emily Mayne and Rachel White). A monograph study of the editing and publishing of English Renaissance drama since the eighteenth century, building and relying upon a comprehensive bibliographical database of editions. (with Mark Houlahan) An edition of Hyde Park for the Oxford Complete Works of James Shirley. (with Helen Ostovich) General editorship of an open-access digital edition of The Works of John Day, with an international team of contributing editors. 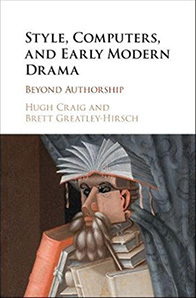 Hugh Craig and Brett Greatley-Hirsch, Style, Computers, and Early Modern Drama: Beyond Authorship. Cambridge: Cambridge University Press, 2017. Press. Brett Greatley-Hirsch, “Shakespeare: Editions and Textual Matters.” Year’s Work in English Studies 96 (2017): 367–83. PDF. Ivan Lupić and Brett Greatley-Hirsch, “ ‘What stuff is here?’ Edmond Malone and the 1778 Edition of Beaumont and Fletcher.” Papers of the Bibliographical Society of America 111.3 (2017): 287–315. PDF. Brett D. Hirsch, “Jewish Questions in Robert Wilson’s The Three Ladies of London.” Early Theatre 19.1 (2016): 37–56. PDF. Brett D. Hirsch and Janelle Jenstad, “Beyond the Text: Digital Editions and Performance.” Shakespeare Bulletin 34.1 (2016): 107–27. PDF. David Kennedy and Brett D. Hirsch, “Prime Suspect: William Cowper Prime in the Holy Land and the Identity of ‘An American’ in Harper’s New Monthly Magazine, 1858.” Palestine Exploration Quarterly 148.2 (2016): 110-132. PDF. Brett D. Hirsch and Hugh Craig, “ ‘Mingled Yarn’: The State of Computing in Shakespeare 2.0.” Digital Shakespeares: Innovations, Interventions, Mediations, ed. Brett D. Hirsch and Hugh Craig. 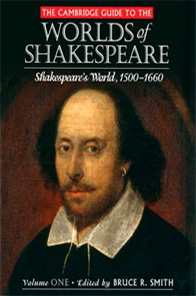 Special issue of The Shakespearean International Yearbook 14 (2014): 3–35. PDF. Brett D. Hirsch, “ ‘To see the Playes of Theatre newe wrought’: Electronic Editions and Early Tudor Drama.” Early Theatre 16.2 (2013): 211–49. PDF. 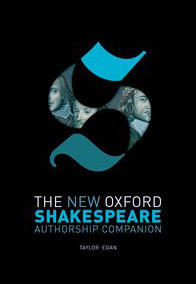 Brett D. Hirsch, “The Kingdom Has Been Digitized: Electronic Editions of Renaissance Drama and the Long Shadows of Shakespeare and Print.” Literature Compass 8.9 (2011): 568–91. PDF. Brett D. Hirsch, “Bringing Richard Brome Online.” Early Theatre 13.1 (2010): 137–53. PDF. David McInnis and Brett D. Hirsch, “Embodying Shakespeare: Introduction.” Early Modern Literary Studies, Spec. Issue 19 (2009): 1.1–13. Full text. Brett D. Hirsch, “Counterfeit Professions: Jewish Daughters and the Drama of Failed Conversion in Marlowe’s The Jew of Malta and Shakespeare’s The Merchant of Venice.” Early Modern Literary Studies, Spec. Issue 19 (2009): 4.1–37. Full text. Brett D. Hirsch, Stewart Arneil, and Greg Newton, “ ‘Mark the Play’: Electronic Editions of Shakespeare and Video Content.” New Knowledge Environments 1.1 (2009): n.p. Web. Full text. Brett D. Hirsch, “ ‘A Gentle and No Jew’: The Difference Marriage Makes in The Merchant of Venice.” Parergon, 23.1 (2006): 119–129. PDF. Brett D. Hirsch, “An Italian Werewolf in London: Lycanthropy and The Duchess of Malfi.” Early Modern Literary Studies, 11.2 (2005): 2.1–34. Full text. Brett D. Hirsch, “ ‘In the likeness of a Jew’: Kabbalah and The Merchant of Venice.” The Ben Jonson Journal, 12 (2005): 119–40. PDF. Brett Greatley-Hirsch and Laurie Johnson, “Shakespeare Source Study in the Age of Google: Revisiting Greenblatt’s Graveyard and Horatio’s Ground.” Rethinking Shakespeare Source Study: Audiences, Authors, and Digital Technologies, ed. Dennis Austin Britton and Melissa Walter. London: Routledge, 2018. 253–78. PDF. Brett Greatley-Hirsch and Michael Best, “ ‘Within this Wooden [2. 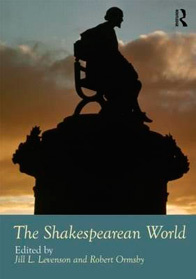 ]O’: Shakespeare and New Media in the Digital Age.” The Shakespearean World, ed. Jill L. Levenson and Robert Ormsby. London: Routledge, 2017. 443–62. PDF. Jack Elliott and Brett Greatley-Hirsch, “Arden of Faversham, Shakespearean Authorship, and ‘the print of many.’” The New Oxford Shakespeare: Authorship Companion, ed. Gary Taylor and Gabriel Egan. Oxford: Oxford University Press, 2017. 139–81. PDF. Brett D. Hirsch, “The White Devil: The State of the Art.” The White Devil: A Critical Reader. Ed. Paul Frazer and Adam Hansen. London: Arden Shakespeare, 2016. 83–106. PDF. Brett D. Hirsch, “Judaism and Jews.” The Cambridge Guide to the Worlds of Shakespeare. Vol. 1. Shakespeare’s World, 1500-1660, ed. Bruce R. Smith. Cambridge: Cambridge University Press, 2016. 709–20. PDF. Brett D. Hirsch, “Three Wax Images, Two Italian Gentlemen, and One English Queen.” Magical Transformations on the Early Modern English Stage, ed. Lisa Hopkins and Helen Ostovich. Farnham: Ashgate, 2014. 155–68. PDF. Brett D. Hirsch, “The Taming of the Jew: Spit and the Civilizing Process in The Merchant of Venice.” Staged Transgression in Shakespeare's England, ed. Rory Loughnane and Edel Semple. New York: Palgrave, 2013. 136–52. PDF. Brett D. Hirsch, “‹/Parentheses›: Digital Humanities and the Place of Pedagogy.” Digital Humanities Pedagogy: Practices, Principles, and Politics, ed. Brett D. Hirsch. Cambridge: Open Book Publishers, 2012. 3–30. Full text. Brett D. Hirsch, “Lycanthropy in Early Modern England: The Case of John Webster’s The Duchess of Malfi.” Diseases of the Imagination and Imaginary Disease in the Early Modern Period. Ed. Yasmin Haskell. Turnhout: Brepols, 2011. 297–337. PDF. Brett D. Hirsch, “From Jew to Puritan: The Emblematic Owl in Early English Culture.” ‘This Earthly Stage’: World and Stage in Late Medieval and Early Modern England. Ed. Brett D. Hirsch and Christopher Wortham. Turnhout: Brepols, 2010. 131–72. Cursor Mundi 13. PDF. Brett D. Hirsch, “ ‘What are these faces?’ Interpreting Bearded Women in Macbeth.” Renaissance Drama and Poetry in Context: Essays for Christopher Wortham. Ed. Andrew Lynch and Anne M. Scott. Newcastle-upon-Tyne: Cambridge Scholars Press, 2008. 91–114. PDF. Brett D. Hirsch, “Digital Renaissance Editions.” Journal of Early Modern Cultural Studies 13.4 (2013): 136–39. PDF. Brett D. Hirsch, “Hornpipes and Disordered Dancing in The Late Lancashire Witches: A Reel Crux?” Early Theatre 16.1 (2013): 139–49. PDF. Brett D. Hirsch, “Rousing the Night Owl: Malvolio, Twelfth Night, and anti-Puritan Satire.” Notes & Queries, 56.1 (2009): 53–55. PDF. Brett D. Hirsch, “Thomas Heywood and the Werewolves: A Source for The Witches of Lancashire.” Notes & Queries, 53.4 (2006): 531–33. PDF. Brett D. Hirsch, “Werewolves and Severed Hands: Webster’s The Duchess of Malfi and Heywood and Brome’s The Witches of Lancashire.” Notes & Queries, 53.1 (2006): 91–3. PDF. Brett D. Hirsch and Hugh Craig, ed. Digital Shakespeares: Innovations, Interventions, Mediations. 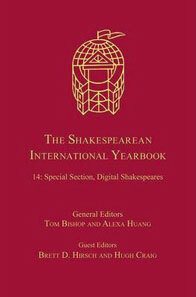 Special issue of The Shakespearean International Yearbook 14 (2014). Press. Brett D. Hirsch, ed. 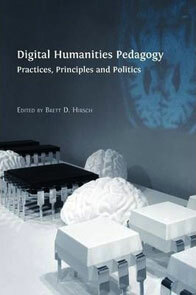 Digital Humanities Pedagogy: Practices, Principles, and Politics. Cambridge: Open Book Publishers, 2012. Full text. Brett D. Hirsch and Christopher Wortham, ed. ‘This Earthly Stage’: World and Stage in Late Medieval and Early Modern England. Turnhout: Brepols, 2010. Cursor Mundi 13. Press. David McInnis and Brett D. Hirsch, ed. Embodying Shakespeare. 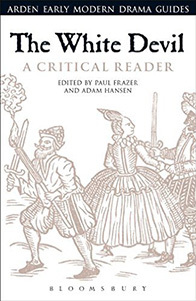 Special issue 19 of Early Modern Literary Studies (2009). Full text. Coordinating editor (2006–present). Digital Renaissance Editions. A project to publish critical editions of non-Shakespearean Renaissance drama, using the publishing platform developed by the Internet Shakespeare Editions. General editor (2013–present). Bibliography of Editions of Early English Drama. A project to develop a comprehensive bibliographical database of editions of early English drama produced since the eighteenth century. Editorial board (2011–present). The Map of Early Modern London. A project to publish an interactive map of Shakespeare's London, linked to scholarly articles about the history and culture of the city, its streets and landmarks. Director: Janelle Jenstad. Editorial board (2015–present). Internet Shakespeare Editions. A project to publish critical editions of Shakespeare's works, with a multimedia performance database and library of contextual materials. Coordinating Editor: Michael Best. Contributor (2010–present). Lost Plays Database. A peer-reviewed Wiki-style forum for scholars to share information about lost plays in England, 1570-1642. Editors: Roslyn L. Knutson, David McInnis, and Matthew Steggle. 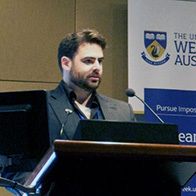 Academic consultant (2013–present). The Bodleian First Folio. A project to publish a digital facsimile of Bodleian Arch. G c.7, with high-resolution images and TEI-compliant transcriptions. Director: Pip Willcox. Scholarly advisory committee (2015–present). A Digital Anthology of Early Modern English Drama. A project of the Folger Institute to prepare TEI-compliant transcriptions of 402 early modern plays, with a smaller subset of richly tagged texts for computational analysis. Director: Kathleen Lynch.